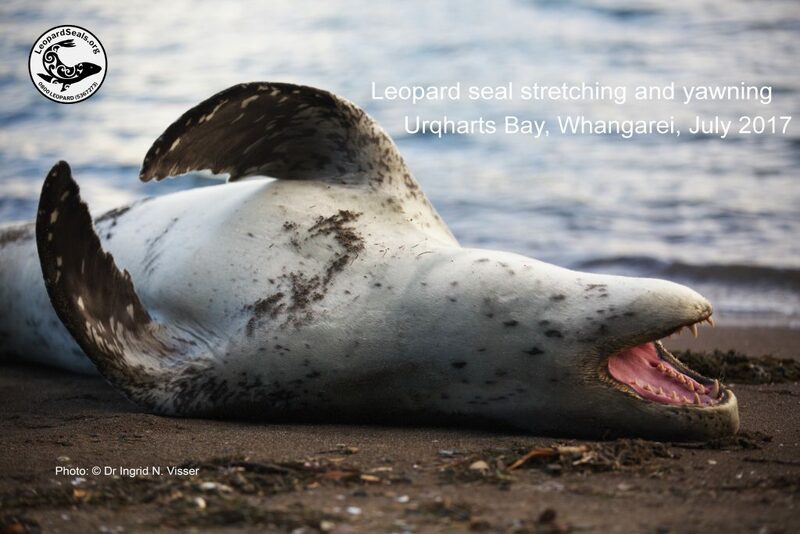 Although leopard seals have traditionally been considered a ‘vagrant’ (wandering or roaming from place to place, a nomadic) species and only occasional visitors to New Zealand waters, the research that LeopardSeals.org has collated paints a very different picture. Currently we are working on a report that contains over 1,000 sightings of leopard seals around our coastline, stretching back decades. These sightings illustrate that leopard seals are seen in all months and on both the North and South Islands as well as many of our coastal and offshore islands. Additionally, we have documented that there may be numerous leopard seals around the country at any one time. Once the report is complete we will make details available on this site. In the meantime, if you have seen a leopard seal (including historic records), we would be extremely interested in hearing from you. Please check out our ‘Report a leopard seal sighting’ page. We are also compiling a comprehensive list of all scientific literature onhttp://www.leopardseals.org/report-a-leopard-seal/ leopard seals. We have a short list on our Scientific Literature page. We often get asked how do we track individual seals around our coastline. We use the most benign method – matching photographs. Currently there are no tagging programs for leopard seals in New Zealand waters (and we hope it remains that way as some tagging can be very invasive – see this post about tagging Weddell seals).